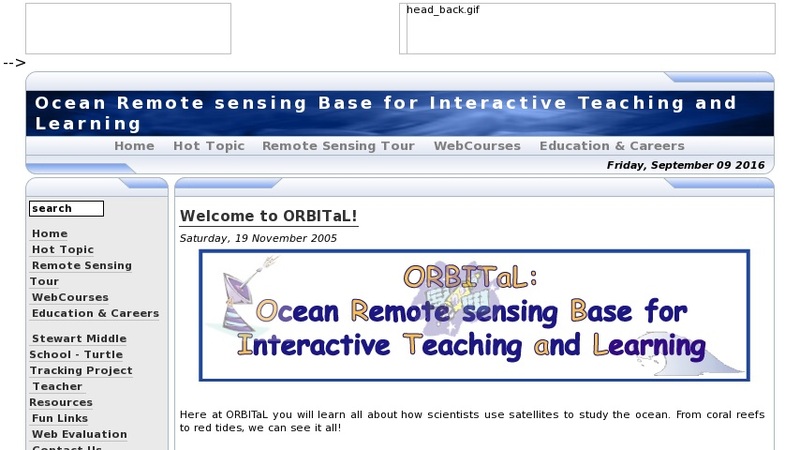 A collection of seven lesson plans from the Institute for Marine Remote Sensing in St. Petersburg, Florida. Titles include: Light and Water: The Secchi Disk Experiment, Coral Reef Remote Sensing Classification Experiment, Ocean Color, Sea Surface Temperature I and II, West Florida Shelf temperature changes with time and their impact on local reefs, The Coral Reef Cake: An Activity for K-12 Earth Science or Biology Classes. Skill level varies.